Trying to stay healthy is hard enough, but add holiday parties to the mix and it’s easy to pack on a few extra pounds. This PLR package is geared around the topic of sticking to your diet during the holidays. 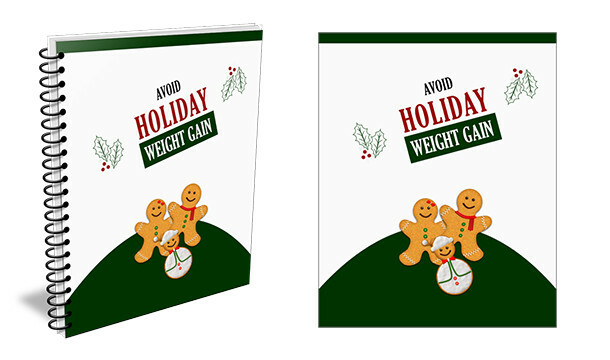 Covers the basics of holiday celebrations and what they can do to a person who is trying to watch their weight, which includes the content in PDF, Word and Text formats. You get JPG and PPT formats for easier exporting and editing. You’ll receive 20 tweets to direct traffic back to your posted articles or landing pages. Add hashtags to suit your needs. You’ll receive a total of 46 slides. 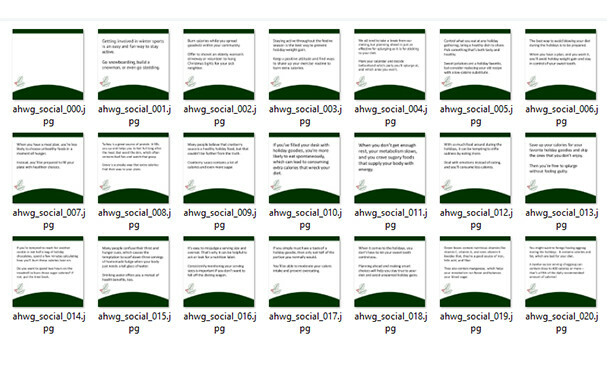 Each slide deck measures 1,280 x 720 pixels when exported into individual slides. This is the perfect size to create a high definition slideshow or video. 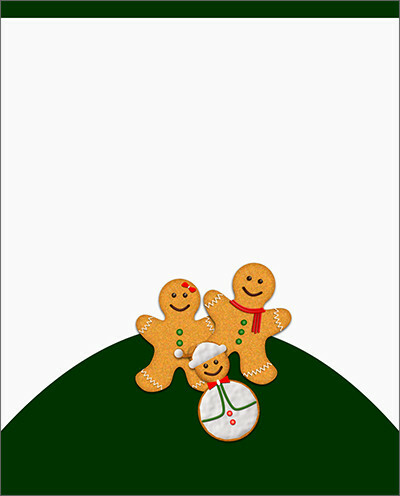 NOTE: I crafted the gingerbread cookies inside of Photoshop, which makes them royalty free for you to use with this content! During the holidays, it’s easy to pack on a few extra pounds. At first you may find yourself making small compromises – an extra piece of fudge, missing a workout, a slice of homemade pie. Before you know it, the holidays are over, and you’re looking in the mirror, feeling disappointed with yourself again. 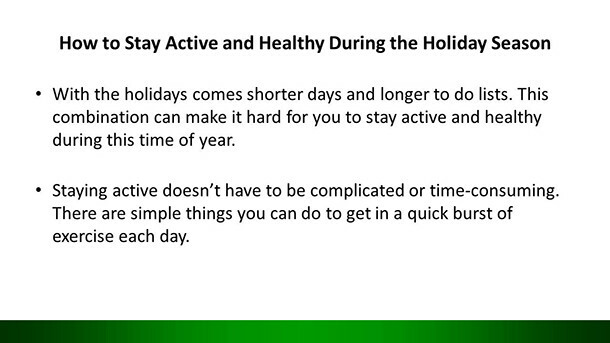 But holiday weight gain isn’t inevitable. You can enjoy your favorite holiday treats and still look great come New Year’s if you stick to a routine. Use these simple tips to keep your holiday diet on track. The easiest way to keep extra calories from appearing on your plate is to plan all of your meals at the beginning of each day. When you have a meal plan, you’re less likely to choose unhealthy foods in a moment of hunger. Instead, you’ll be prepared to fill your plate with healthier choices. If you’ve filled your desk with holiday goodies, you’re more likely to eat spontaneously, which can lead to consuming extra calories that wreck your diet. That’s why it can be helpful to keep treats out of sight. When you’re not staring at the goodies, you’re less likely to consume them.